Many people only associate licorice with old-fashioned candy. The substance that gives licorice candy its distinctive taste is known as star anise. Licorice root, on the other hand, tastes much different. It still has a sweetness, but the taste is a bit more subtle and earthy. And it’s an incredible herb that can provide substantial health benefits for your body. 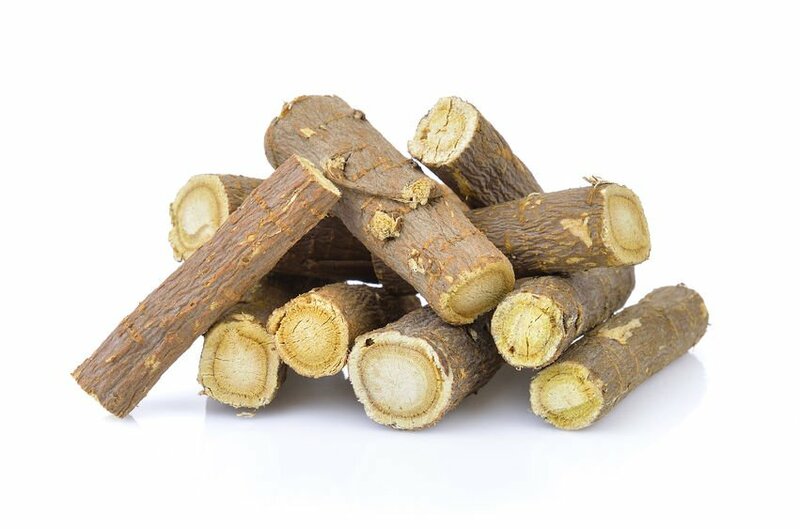 Licorice root extract, according to research, can help provide relief from symptoms of gastrointestinal problems, particularly a condition known as dyspepsia, or indigestion. In one study, a group of dyspepsia patients received either a placebo or a product containing licorice root extract two times a day for one month. Licorice root has been used for centuries to help reduce the symptoms of many types of diseases. 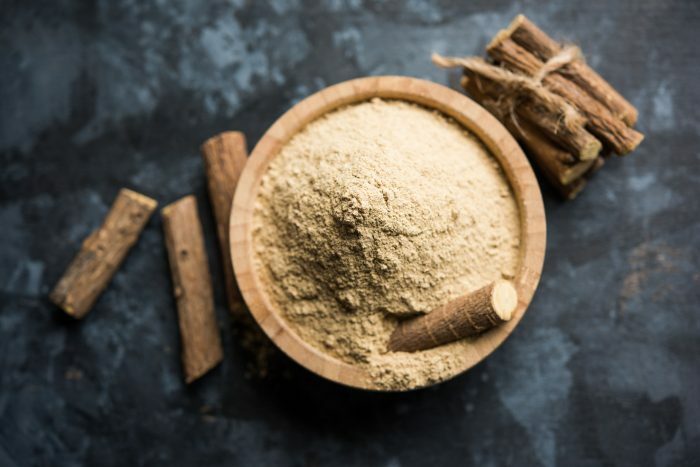 Researchers believe a compound in licorice root, known as glycyrrhizin, has anti-inflammatory properties, and that it may help to relieve symptoms of certain skin problems.8 It might also help people suffering from sores in the mouth. Making a delicious cup of licorice tea is very easy. Gather a quarter-cup of licorice root and a small chunk (about the size of your index finger) of ginger. Make sure the ginger is sliced and not peeled. Put two quarts of water into a pot, add the licorice and ginger, and bring the mixture to a boil. Let it simmer for about 10 minutes, and then pour into mugs through a strainer. And there you have it! A delicious, nutritious licorice tea that can deliver substantial health benefits. Pregnant women must avoid ingesting excessive amounts of licorice root. According to one study, consuming too much licorice could have an adverse effect on a child’s behavior and intelligence. Researchers analyzed a group of 8-year-old children whose mothers regularly ate licorice during their pregnancy. According to the results, the children fared worse than other children in cognition tests. They were also at a higher risk of exhibiting signs of attention deficit hyperactivity disorder (ADHD), and had a more difficult time paying attention. Licorice root extract, the essential ingredient in licorice tea, can help your body in many different ways. However, moderation is the key. Licorice can lead to high blood pressure and other problems if consumed in excess. 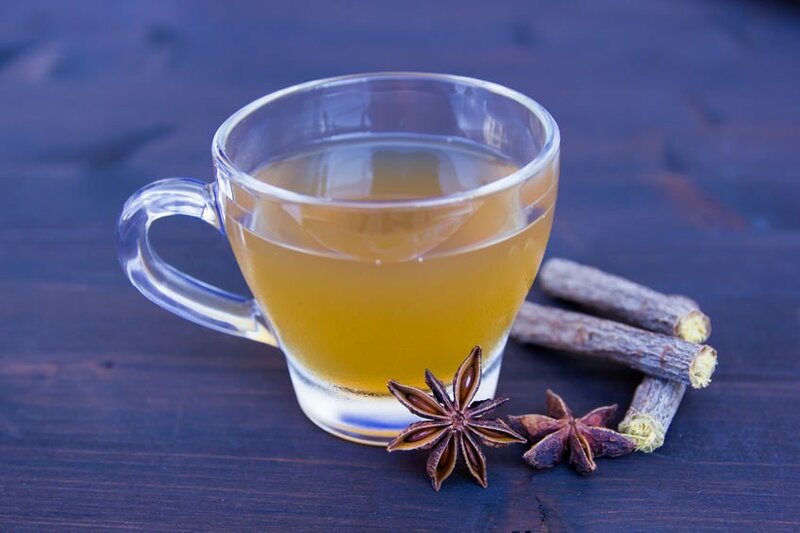 If you’re thinking of introducing licorice root tea to your diet, talk to your doctor first to be safe.